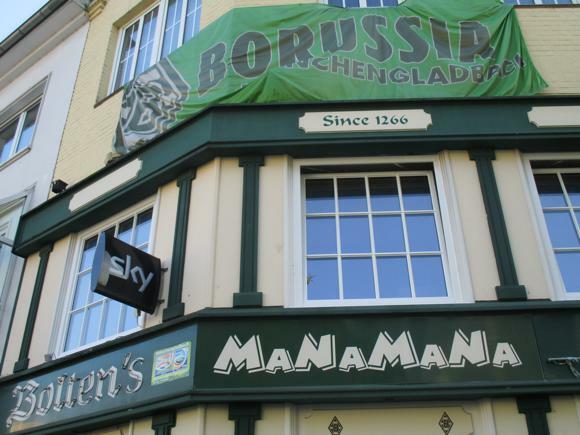 The modest community of Mönchengladbach is known for one thing, and one thing only: Borussia. 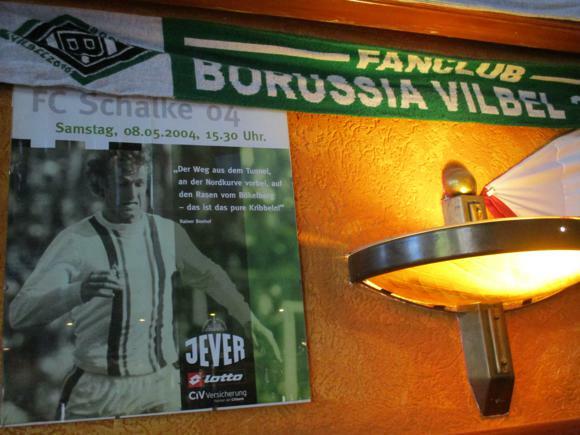 Up until 1960, the year the equally modest Borussia won the German Cup, this town halfway between Düsseldorf and the Dutch border was called Mönchen Gladbach, before that München-Gladbach. Most still refer to the town as ‘Gladbach’. The name simplification came as both Borussia and another force were emerging in the newly professional German game, Bayern München. 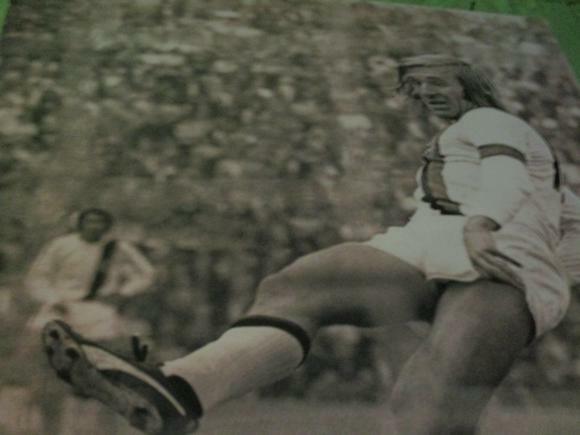 Borussia, under legendary coach Hennes Weisweiler, would challenge the Bavarians for the Bundesliga title. 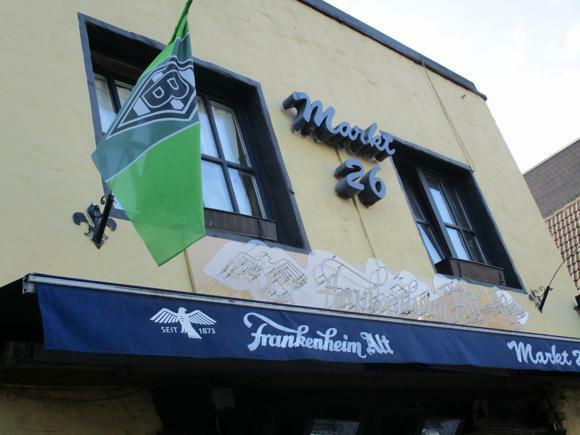 Between 1969 and 1977, the title went nowhere but Mönchengladbach or Munich, and everyone in the Europe game got to know this little town with the 15-letter name. Their base was the Bökelberg, a modest ground nicknamed the ‘Gravel Pit’ that dated back to World War I. 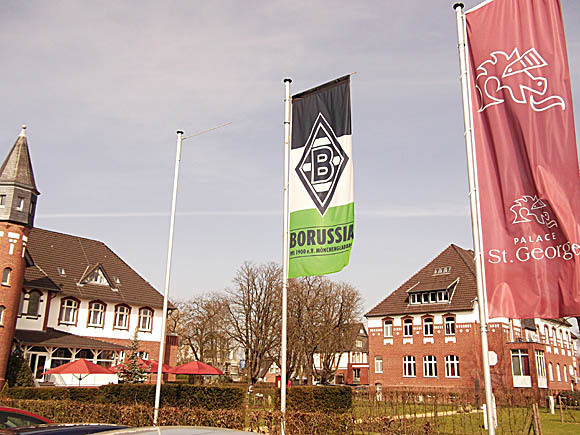 Here in residential Eicken north of town, where Borussia had been founded in 1900, Weisweiler brought through some of the greatest talents ever to grace to German game, among them Günter Netzer, Berti Vogts and Rainer Bonhof. Struggling to keep up with the likes of Bayern and other moneyed clubs, Borussia slipped down, unable to squeeze more than 34,500 into the cramped Bökelberg and increase ticket revenue. 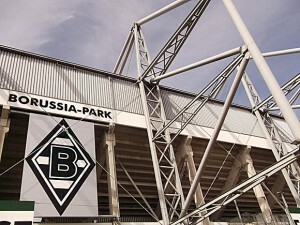 Although relegated in 1999, Mönchengladbach were able to build the Borussia-Park on Hennes-Weisweiler-Allee and move from their beloved Bökelberg in 2004. 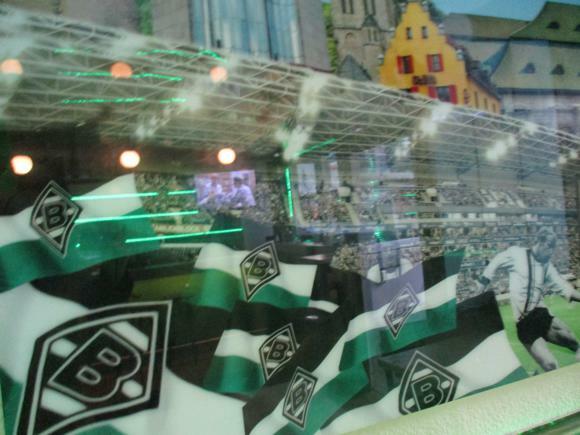 Now based in the town’s western outskirts, close to the military-town-within-a-town of Rheindalen, the base for British forces in Germany, Borussia have recently enjoyed two healthy seasons in the Bundesliga in front of an average 50,000 fans. All that’s missing is for great European nights to return to Mönchengladbach. 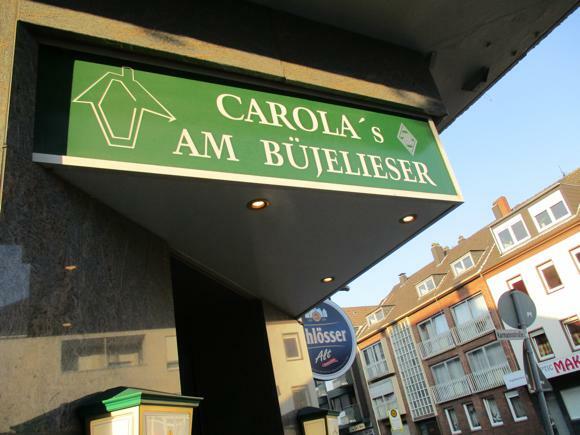 The nearest airport to Mönchengladbach is Düsseldorf, 35km (21.5 miles) away. The airport has its own rail station, accessible by SkyTrain cable from the airport terminal. The train to Mönchengladbach, with one change at Düsseldorf main station, should take less than 1hr. A taxi (+49 2161 13-13) to Mönchengladbach should cost about €45. In town, buses are run by Rhein-Ruhr Transport. A single ticket is €2.50, a day pass €5.90 – the centre is easily walkable. 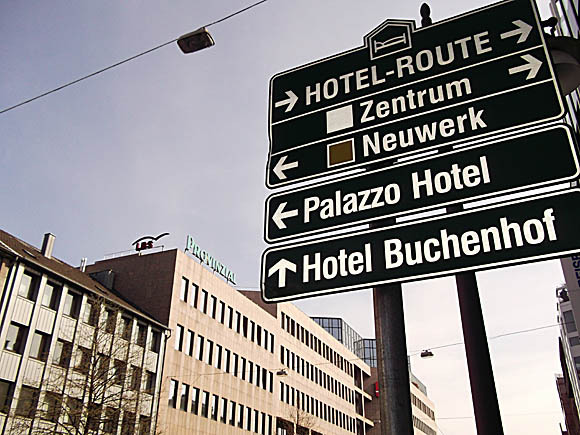 The Mönchengladbach City Hall provides a list of hotels and rented apartments under ‘Freizeit & Tourismus – Übernachten in MG’. 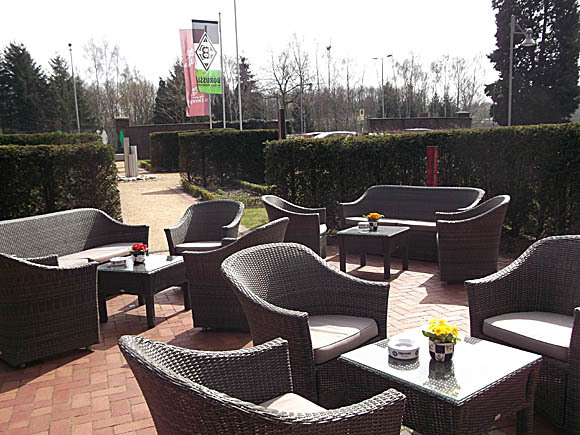 Near the stadium on main Gladbacher Straße, the Palace St George is a high-spec design hotel and restaurant that offers a football special of a three-course meal, late breakfast and one overnight stay for €109 per person in a double room, €139 in a single. 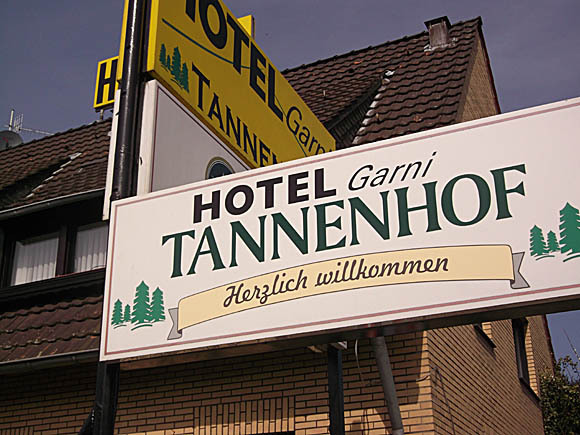 Also close to the ground, the more traditional Hotel Tannenhof is a more modest guesthouse that charges €91.50 for a double and €53.50 for a single room, cheaper ones available without private facilities. 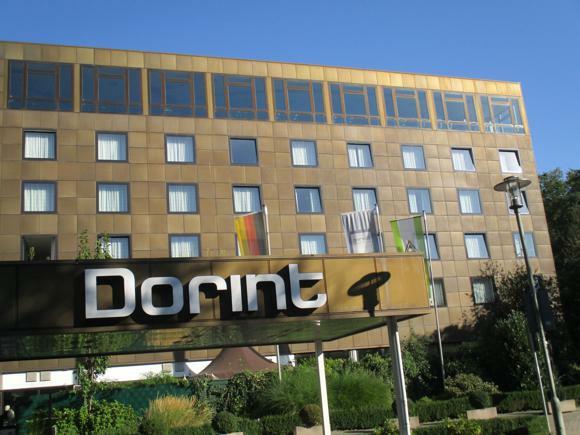 Hands down best hotel in town is the Dorint Parkhotel, set in greenery a short walk from the town centre. 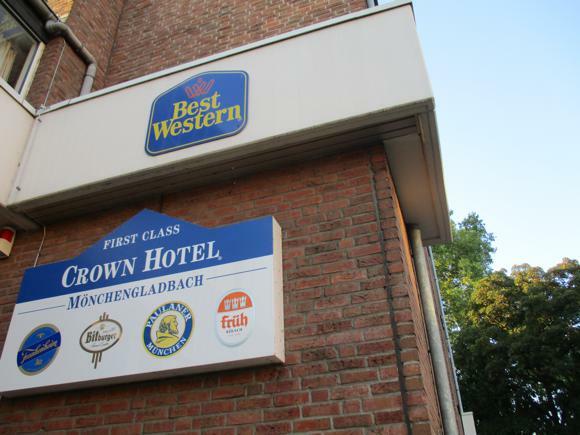 The Best Western Crown is near the junction of Aachener Straße that leads to the stadium – buses between town and ground will pass close by. 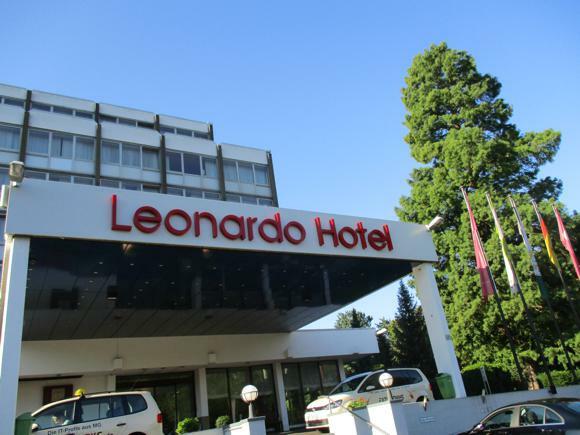 In the same vicinity, the Leonardo is comfortable and business-friendly. 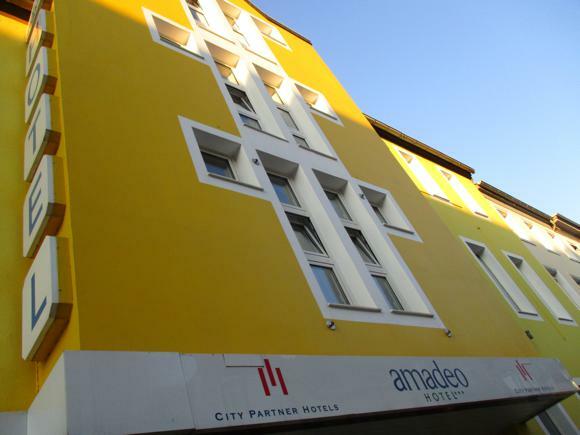 In the same vein, the Amadeo has a sauna and restaurant. 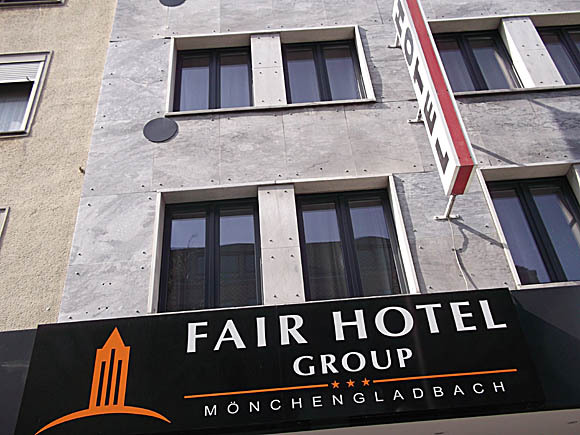 Near the station, the Fair Hotel is one of a national chain of modest lodgings in convenient locations. The nearby Palazzo is equally affordable. 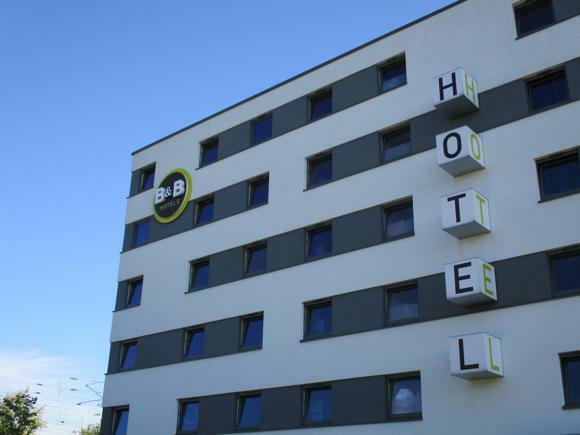 Behind the station, accessed via Breitenbachstraße, the B&B Hotel Mönchengladbach is part of a nationwide budget chain, this one with football-themed rooms. 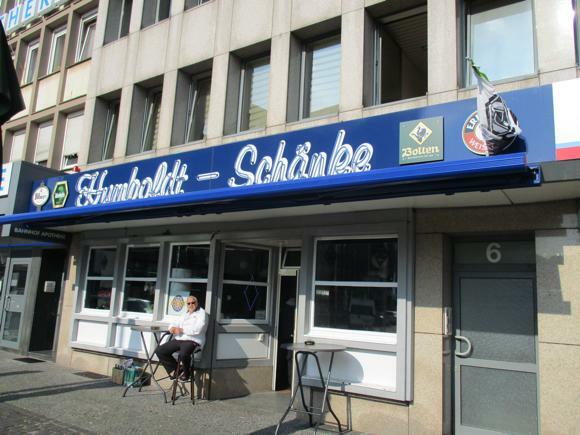 Opposite the station, the Humboldt Schänke has recently been revamped, the new ownership creating a large mural of Borussia history. Live TV football too. A 15-minute walk away up Eickener Straße is where you’ll find the site of the old Bökelberg, two sets of terraces still ranged around the neat white residencies that replaced the stadium. 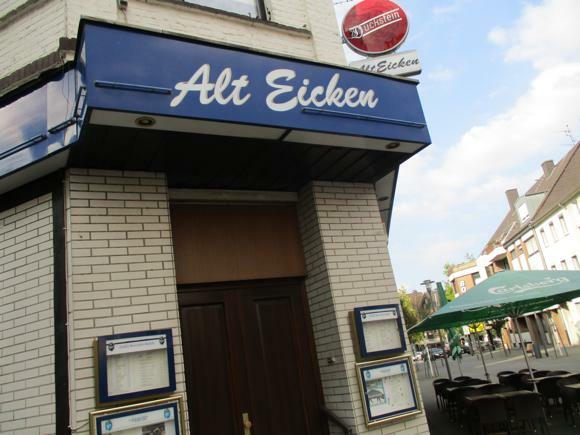 Traditional fans’ hangouts still dot the junction with Schwogenstraße: the Alt Eicken is now more a sedate meeting place for older locals, food and occasional live jazz brought to the fore. 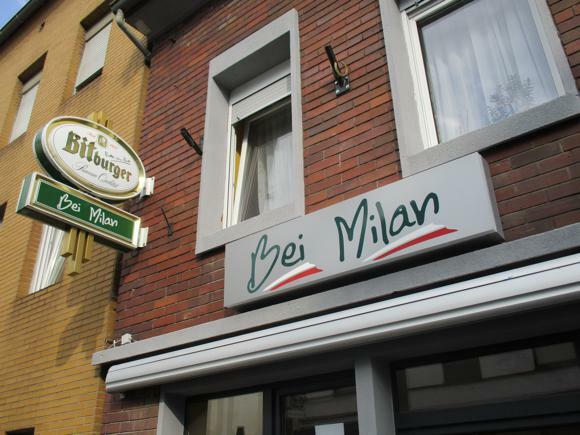 Opposite, Bei Milan refers more to the Yugo ownership and cuisine (čevapčići, pljeskavica) than any football affinity, while alongside, Bei Walja/Troubadour is more music-oriented. 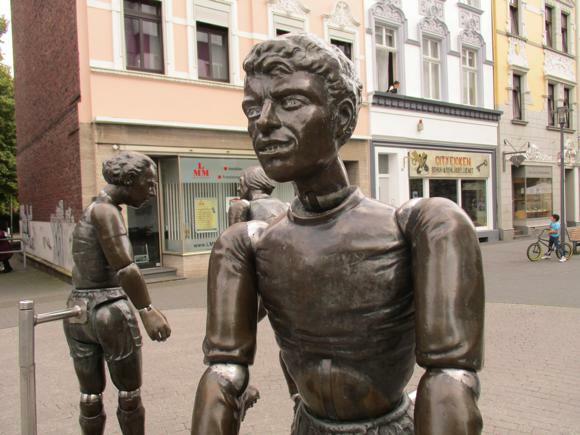 The statues in this pedestrianised section of the street hark back to a long, local football heritage. 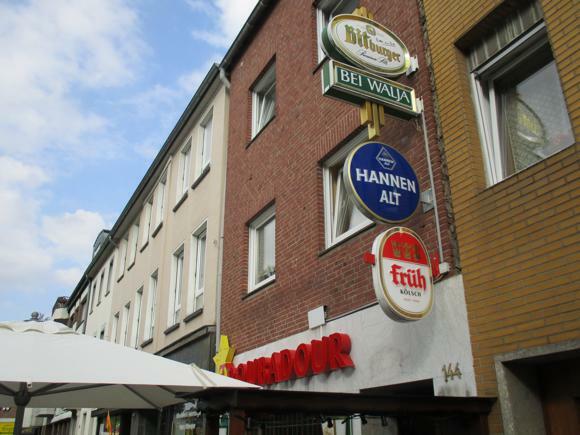 In town, bars and restaurants line focal Alter Markt. 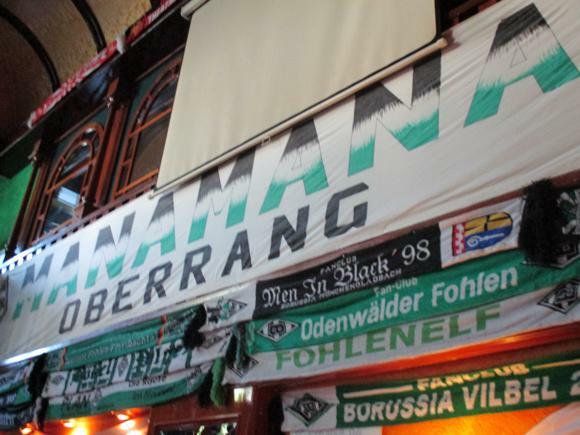 The classic spot is MaNaMaNa, a shrine to Borussia Mönchengladbach, litres and litres of local Boltens beer sank amid a mass of green, white and black. 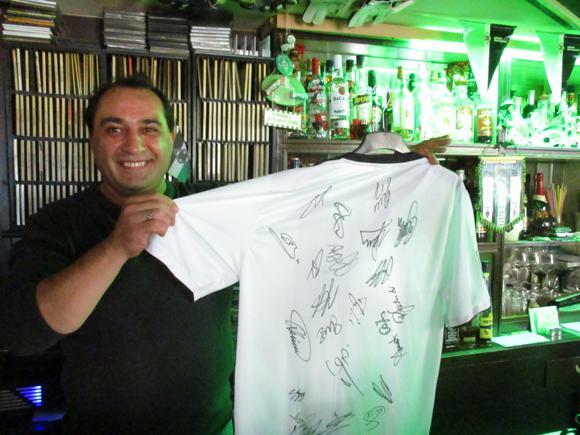 Note also a little corner dedicated to FC Aarau – the chef is Swiss. 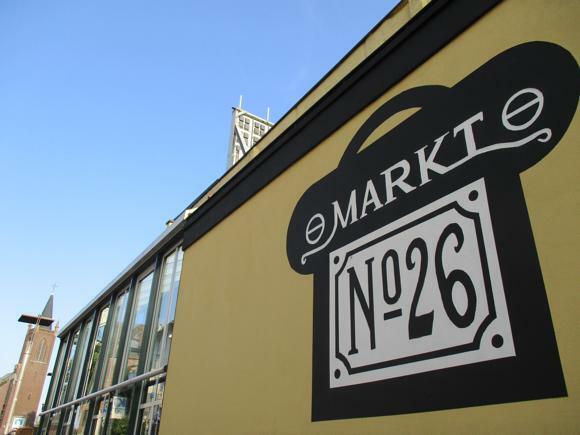 Alongside, Markt 26 is a party-centric bar that shows live Borussia and other Bundesliga games. 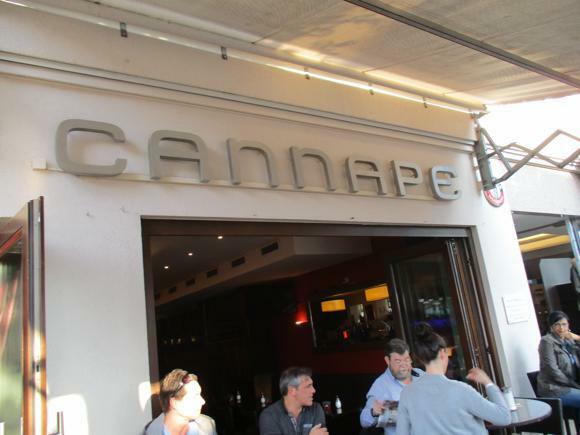 Opposite, lounge bar/restaurants such as Cannape and Graefen und König are not too snooty to have TV screens installed for football action – adjoining Café Berlin and SunSide are more down to earth. 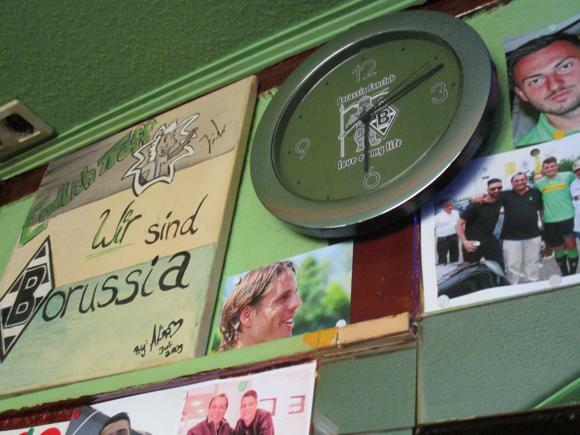 An absolute classic fans’ bar is the Endlich Treff a short walk from the Alte Markt, with ten years of Borussia worship and the serious quaffing of Bolten Alt and Bitburger beers. 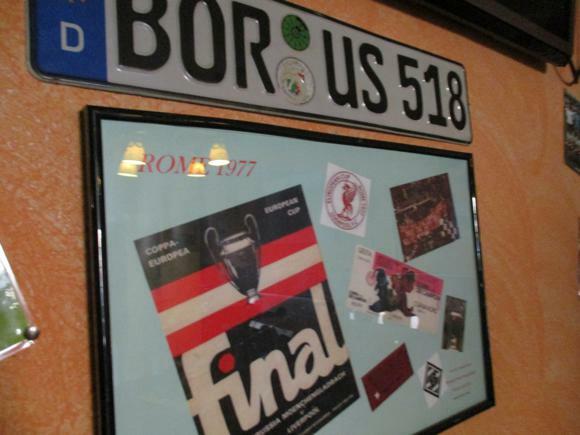 Also football-centric, neighbourhood corner bar Carola’s Am Büjelieser at 98 Aachener Straße hosts an annual pilgrimage of Liverpool fans – hence Graham’s Corner within, and a montage of souvenirs from that night in Rome.